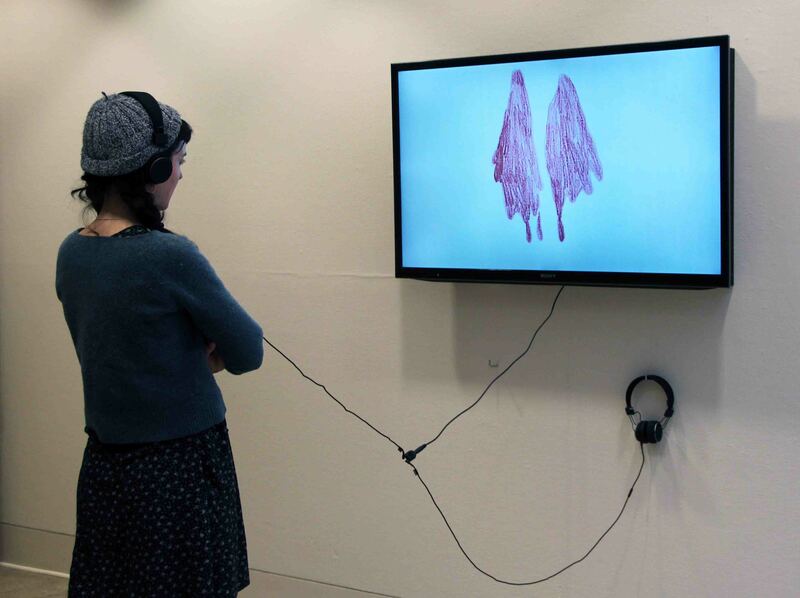 Always looking for a new way to present work, the Department of Visual Arts has changed the format of their annual exhibition by graduating students of their MFA program. 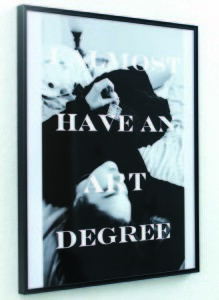 Rather than presenting one large exhibit featuring all the graduating MFA students, this year’s exhibition has instead been split into two different sections. 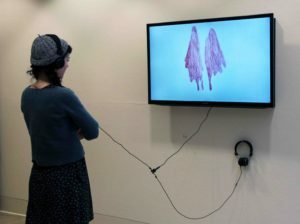 The first, a three-week rotating Solo Series, ran in March; now, the final three exhibitions by graduating MFA artists Kerri Flannigan, Breanna Fabbro and Victoria Murawski will be on display. The exhibit opens with a reception from 5 to 8pm Friday, April 29, and then runs noon-4pm daily to May 6 in the Visual Arts building. Kerri Flannigan’s Catching Stones, Throwing Hammers uses drawings and archival footage to map the exterior of Woodlands, a now-defunct institution for the intellectually disabled, using changes wrought to the building’s façade since the mid-19th century to explore the institutional borders of exclusion. 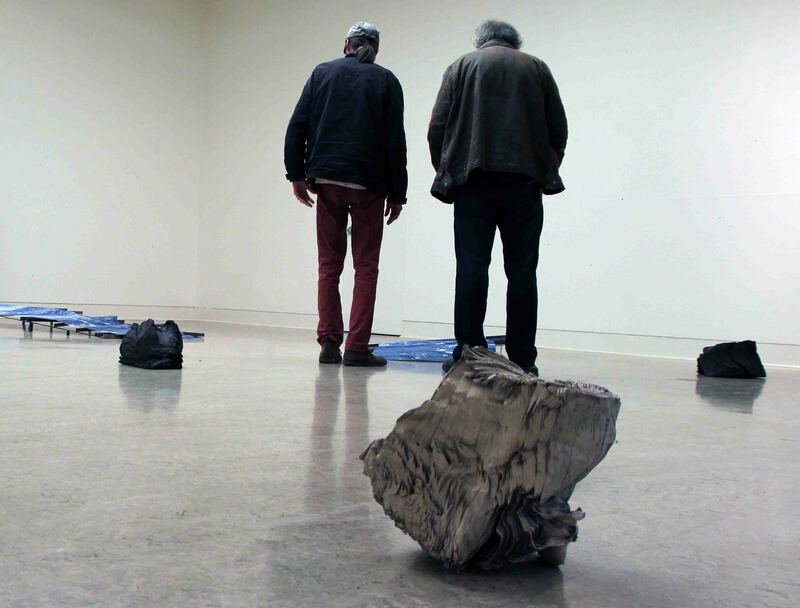 Flannigan is a Victoria-based interdisciplinary artist who explores methods of experimental narrative and documentary through drawing, writing, projection, and performance. She has shown locally and internationally, and is a recipient of the Best English Zine at the Expozine Awards (2011 and 2014) and runner-up to the inaugural Lind Prize (2016). As part of her thesis defence, Flannigan will also present The Secrets of Naming Clouds, a performance accompanied by moving image work, projections, sound and live-narration; this 40-minute performance begins at 6pm on Thursday April 28 at the Intrepid Theatre club (2-1609 Blanshard), with thesis defense to follow. The performance itself will draw on utopic universal languages such as Blissymbols, an “anti-word” language designed to eradicate miscommunication and Láadan, a feminist language created to end patriarchy. These idealized forms of communication are interwoven with coming of age stories; home videos and choreographed dances, dating bans, classroom conversations on consent, teen-girl vigilantes and a family trip to LA in pursuit of minor celebrity Adam Sessler, my sisters crush. Breanna Fabbro’s It Held Only Briefly is a series of paintings that depart from the normative apperceptions of still-life in the traditional understanding of an object sitting still in space, but accede the moments before an object meets its final position. Objects are constructed out of shredded canvases and given life through actions such as tearing, raveling, and tossing. These moments of suspended motion are mobilized through painting the memory and experience of interactions with the objects as it relates to the space or scenario it is set against. Apropos to life and mortality in the still-life canon, these works are a return to life and its inherent momentum, subsumed by discovery, failure, and regeneration. Objects in the world are alive – we make them alive with our constant interaction with them. Like food in still-life paintings that depict decay, all objects have a life. 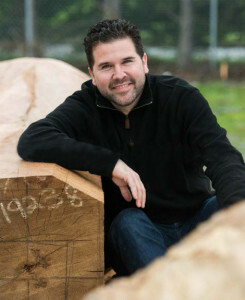 Fabbro’s work depicts that movement and process of coming and becoming. 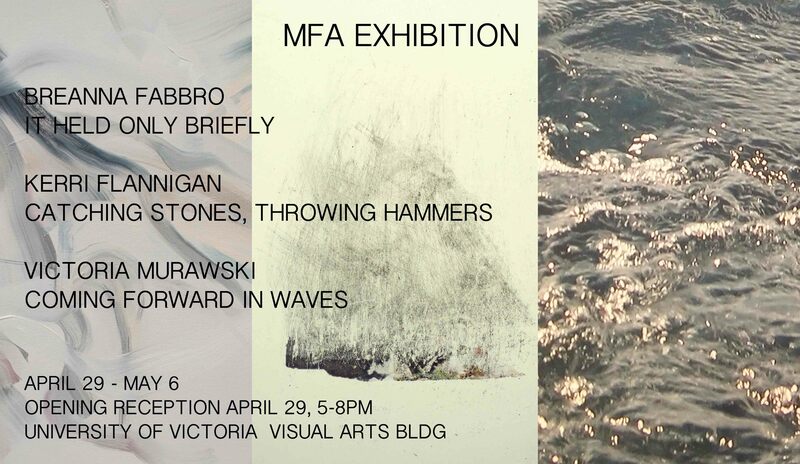 Victoria Murawski will also present her work in the exhibit, Coming Forward in Waves. Now complete, the Solo Series in March featured work by graduating MFAs Tristan Zastrow, Ryan Hatfield and Rachel Vanderzwet. If you think organizing an art show is simply about hanging paintings on a wall, think again. 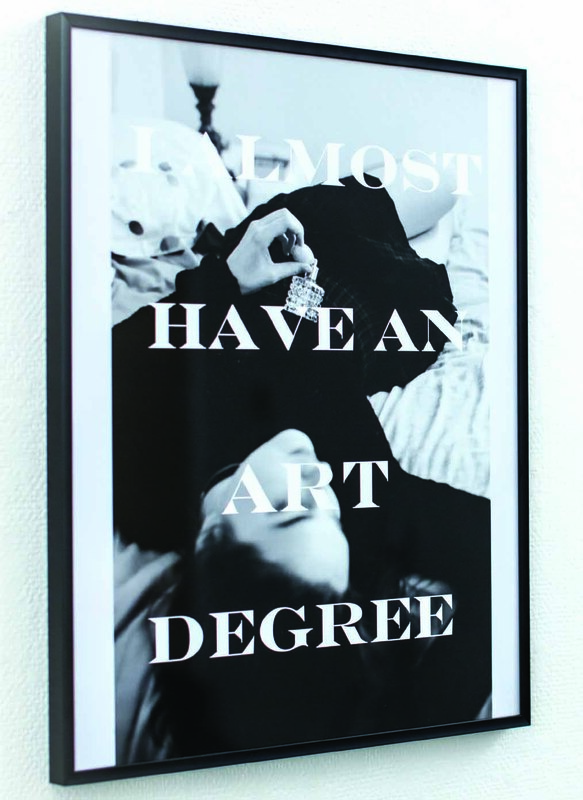 As the annual Bachelor of Fine Arts graduating exhibit in the Department of Visual Arts reveals, there’s as much innovation as inspiration behind a well-planned exhibition. 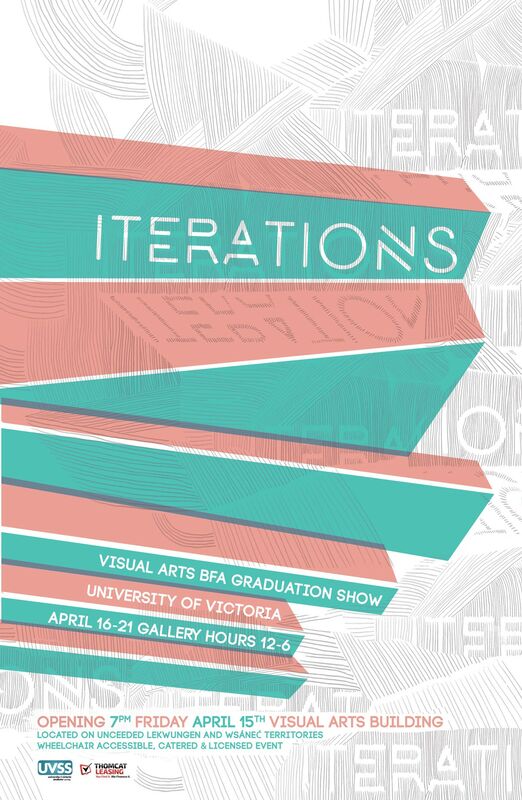 This year’s exhibit—titled Iterations—will fill the Visual Arts building with work by more than 30 student artists between April 15 and 21. Featuring a wide variety of mediums—including painting, sculpture, photography, drawing, installation and extended media works—Iterations offers a fascinating look at the work being produced at one of Canada’s lead contemporary art institutions. “The work represents the self-directed nature of our program, where students learn to invest in their own research using a variety of artistic mediums to bring their projects to fruition,” says Dickie. Given 30-plus artists and 10 rooms, expect to see an explosion of Iterations at the event, which opens with a gala reception beginning at 7pm Friday, April 15. 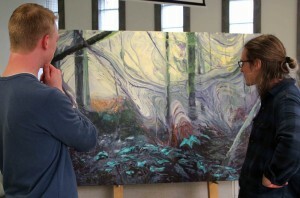 The annual BFA exhibit is a highlight of any academic year in Fine Arts. Much like School of Music students with their final concerts and Theatre students with their mainstage performances, the BFA show is an important milestone in the training of Visual Arts students. You can read about an earlier BFA show here. 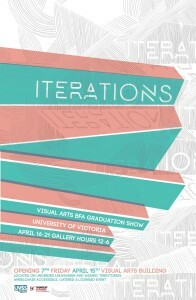 Iterations runs April 15-21 in the Visual Arts building. Open from noon-6pm daily, with a 7pm to late opening reception on Friday, April 15. When Writing professor Maureen Bradley teaches digital media for storytellers, her venue is a departure from the typical university lecture hall: no podium, desk seating or front of the classroom. Instead, tables with roller-wheel chairs line the room, with a multi-media teaching island in the centre. Each table serves as a five-student pod, equipped with a 48-inch wireless video screen, audio speakers, laptop plug-ins and writable white board. Bradley displays video or broadcasts audio to any or all dozen screens in the room, or shows individual or group projects to every screen. 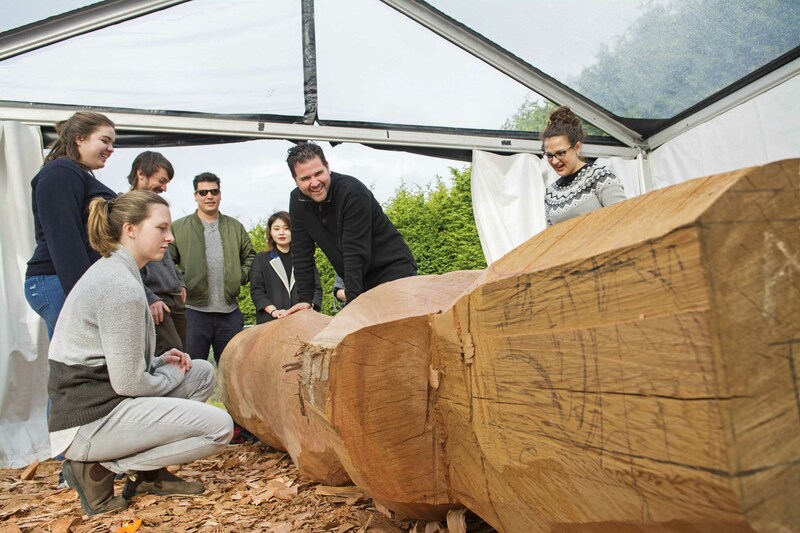 UVic installed four active-learning classrooms last summer as part of a three-year, $3-million upgrade program to create more opportunities for dynamic learning. The impetus behind it, says Katy Mateer, associate vice president of academic planning, is to address changes in pedagogy by better integrating technology into classrooms. 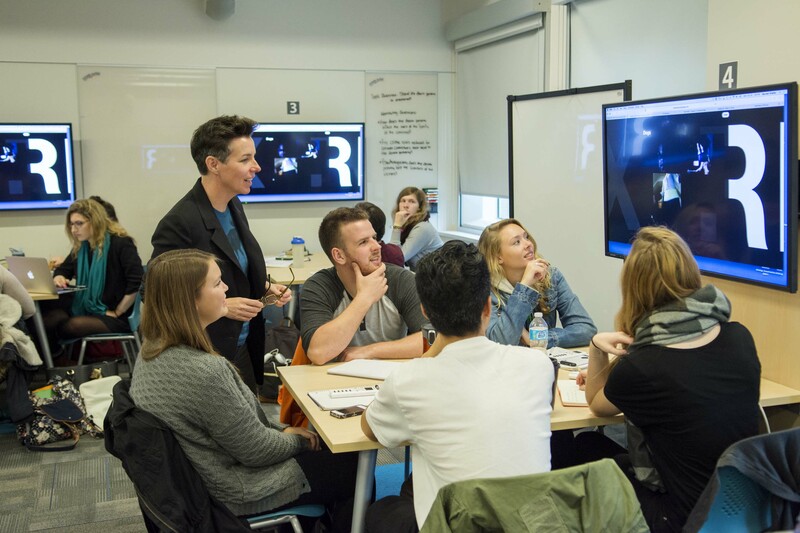 The largest of the new classrooms, MacLaurin D115, encourages visual problem solving and idea sharing to tell stories across multiple media channels like videos, podcasts, webcasts and blogs. “There are some really interesting ways to disseminate information using digital technology. Whether you are a fiction writer, a poet, a journalist or a filmmaker, these are your tools,” says Bradley. Her fast-paced, 50-minute writers’ workshop teaches digital literacy to students across such disciplines as writing, linguistics, political science and humanities. As Bradley displays examples of corporate use of social media tools, baffles built into the ceiling absorb the crescendo of creative noise arising from teamwork and student-led discussions. Both the classroom and collaborative learning format suit Aleesha Koersen just fine. The active learning classrooms are widely used to teach sciences, engineering and a variety of courses for experiential learning that transcends textbooks and lectures. The technology-rich learning spaces essentially “break the classroom” from traditional pedagogy, says Technology Integrated Learning Director Janni Aragon. UVic’s MacLaurin and Clearihue buildings both house two of the new classrooms. Each has a different configuration, with active learning components adapted for typical small lecture, seminar, larger lecture, and what is known as the “pod room.” Additional classrooms will be upgraded in similar fashion over the next two years. UVic’s experience is not unique as more institutions enhance their academic mission by exploring ways to blend technology with learning. The Collaboration for Online Higher Education Research, a consortium of 14 Canadian post-secondary institutions, held a conference in October to discuss topics in flexible learning designs such as blended, online and multi-access learning. 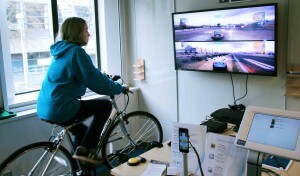 UVic and Dalhousie co-hosted the two-day event with concurrent sessions at both universities.